Save items to your collection. Track their values. Sign up for free! Most people don't realize what their stuff is worth. They don't have their valuable items documented with pictures and current values. It's tough. Appraisals, price guides, online research, spreadsheets... it's expensive and time consuming. Easily track the value of your items. Everything documented for insurance purposes. Way cheaper (and better) than our competitors. And it's super easy to use. 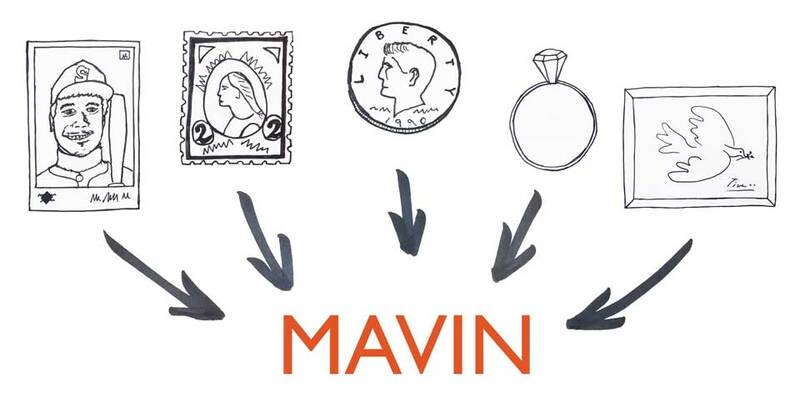 See how MAVIN works. 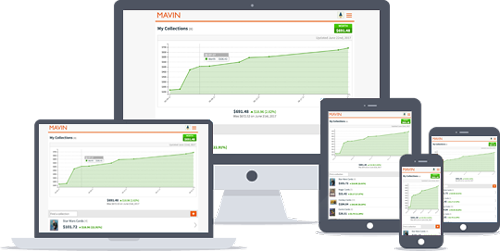 You can look up just about anything that's bought or sold online with Mavin. Adding items is quick and easy. Organize your items in collections and track their value. Create as many collections as you like. Know exactly what it's worth. 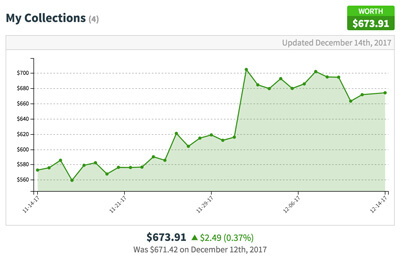 Prices are constantly changing. It's impractical to try to remember what your stuff is worth. Mavin makers it easy. You'll always know what the current market value is. Document your items, before it's too late! 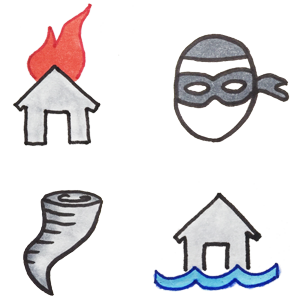 Fire, theft, wind, water... frequent insurance claims made by home owners. If your items are not well documented, you won't get full replacement value. Or you may be under insured. Don't take the chance, sign up for Mavin and document all of your valuable items. Don't wait to get organized! Sign up now!